This striking home has golf frontage plus a lake view and 2,870 square feet of living space. 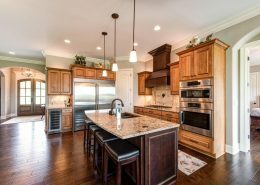 Send me more about this home in WindRiver! WindRiver is a private, lakefront and golf community located in and around Tennessee’s finest natural resources. 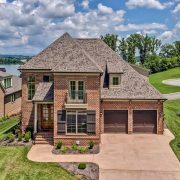 Set on 687 acres along Tellico Lake with the Great Smoky Mountains as a backdrop, the community offers five miles of beautiful shoreline, varied amenities and an active lifestyle that offers something for every member of the family. In addition to benefiting from the area’s abundant natural beauty, the community is only 5 to 10 minutes away from area services. Just outside its gated entrance are the hospitals and shopping of Lenoir City, a bustling suburban community of Knoxville, Tennessee. Send me more information about WindRiver! 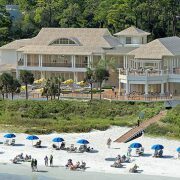 WindRiver Harbor serves as the waterfront gateway to this growing community, which features an Audubon Signature 18-hole golf course, a private marina and harbor, tennis, miles of walking trails and a community activity and fitness center. At the harbor you will enjoy the incredible natural beauty of Tellico Lake. The lake is part of the Little Tennessee River system which is fed by the clear streams of the Smoky Mountains. Once you experience a sunset on the Harbor Marina with the Great Smokies beyond, you will know you have found your place. Send me more information about WindRiver! The WindRiver championship golf course was designed by Jack Nicklaus protégé, Bob Cupp, and is Tennessee’s first Audobon Signature Course. Send me more information about WindRiver!